Home Article Kenan Thompson and Wife Christina Evangeline are In a Married Relationship Since 2011; Who Introduced Them To One Another? Kenan Thompson and Wife Christina Evangeline are In a Married Relationship Since 2011; Who Introduced Them To One Another? 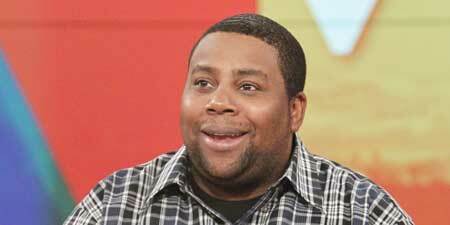 The man who is known for his comedy and fabulous acting, Kenan Thompson is a well-famed comedian in the industry. Not only comedy, but the actor is also well known for his roles in several movies and is an important part of the SNL crew. He is married to model Christina Evangeline since 2011. As comedians make the world laugh, does Kenan, just like his career, enjoying married life with his wife? Well, today we will share some information about his personal life and how he got to this place. Kenan Thompson, known for his role in Saturday Night Live since 2003 and for roles in famous movies like Fat Albert, BarberShop 2, Snakes on a Plane and several others. Speaking of the comedian's love life, he is married to the famous model Christina Evangeline. They tied the knot in the Arctic Room of the George Aquarium in Atlanta alongside their friends and family on November 11, 2011. Kenan's pal Nick Cannon, an American Rapper also attended the wedding to do some DJing. A source close to the pair that talent manager, Danny Estrada helped introduced the couple to each other. According to sources, the couple was trying hard to get pregnant and the happy news came out in 2013. Well, the couple has been living a happy life with their child and is posting pictures on their social media. she’s turning 4 this month. The elder daughter turned 4 in June 2018. Here's an addition of a new family member! Thompson and his wife welcomed another baby girl in the family in August 2018 and gave her a beautiful name 'Gianna Michelle'. have you given thanks for your blessings today? Just have a look at the adorable child; she looks so amazing in the above Instagram post. The family life of four is going on so smooth. We wish them all the very best for their like ahead! 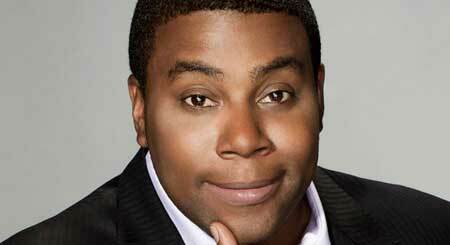 When Kenan was a child, his mother Elizabeth Ann Thompson encouraged him to be an actor. He started taking acting classes and the result of his effort was shown when he won a role as a film reviewer for Turner Broadcasting Station at the age of 16. He then worked with Emilio Estevez in the 1994 film D2: The Mighty Ducks and appeared on the popular Nickelodeon show All That in the same year. 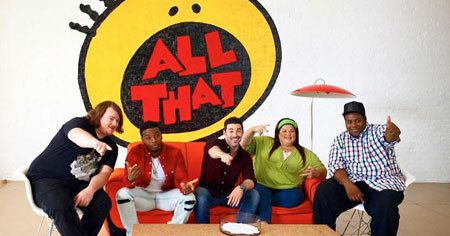 The shows All That and Kenan and Kel were highly successful shows and even earned a Choice Award in 1998. After leaving Nickelodeon, Kenan was screening in several movies like Rocky and Bullwinkle, Love Don't Cost a Thing, Barbershop 2 and several other movies. "He's the first comedian that I knew that I could watch as a kid. Other comedians were too dirty, I couldn't watch them. But Bill Cosby, I could watch him all the time." He then won a role on Saturday Night Live in 2003 and has appeared on the show for more than eight seasons and is the longest-serving cast of the show. Sources claim Thompson is developing a TV comedy show with producer, Lorne Michaels in which Kenan would be starring as the lead actor. He was born in Georgia, US. He studied at Tri-Cities High School and then attended Santa Monica College in California. He got his start at CNN as an entertainment reporter. He holds the record for the most celebrity impressions than anyone. He stands at the height of 1.73 M tall. His net worth is estimated to be $9 million.